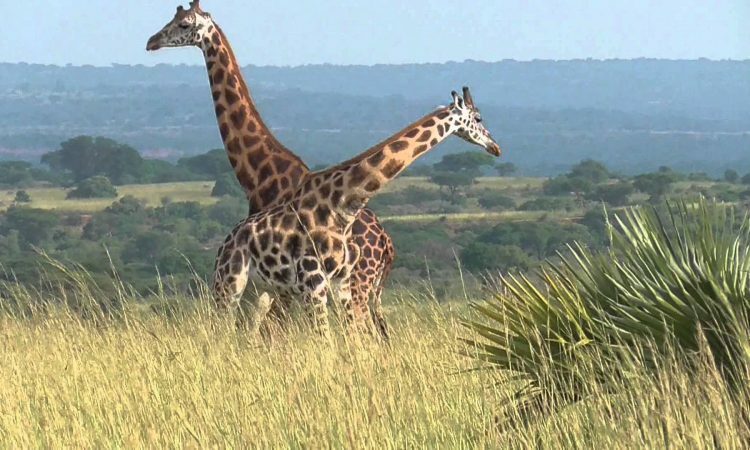 A 10 Day Uganda adventure safari, discover the best of wildlife and gorilla in Uganda. After your early morning breakfast, our driver guide picks you at exactly 7:00am for the 6 hours’ drive to Murchison falls National Park. En route lunch stopover in Masindi town. Proceed to the beautiful Murchison falls thereafter, hiking to the top of the falls. Enjoy the breathtaking view, complete with a rainbow scene. Dinner and overnight at your lodge. Accommodation: Deluxe: Pakuba Safari Lodge, Luxury: Para Safari Lodge. After a morning breakfast, you will drive to Fort portal town with lunch en route in Hoima. The journey will reward you with spectacular views of the magnificent scenery as you drive through the traditional homesteads and farms on your way to Kibale. Reach Fort Portal in the evening and then proceed to Kibale Forest National Park. Dinner overnight at your lodge. Accommodation: Deluxe: Primate Safari Lodge, Luxury: Kyaninga primate Lodge. Early rise for breakfast at your lodge, you will go for the lifetime Chimpanzee tracking adventure in Kibale forest. You will first report to the Park Headquarters at Kanyachu for a briefing about the chimp do’s and don’t’s by an UWA official and then later go for the morning chimpanzee tracking experience. You will penetrate into the forest under the guidance of an armed ranger for the tracking. Besides the chimps, you may spot other primates and these include: Varvet Monkey, L’hoest, Blue Monkey, Red-Tailed Monkey, Grey Cheeked Mangabey, Black And White Colobus Monkey and many more. Return back to the lodge for Lunch and later drive off to Queen Elizabeth national park. Dinner and overnight at your lodge. Accommodation: Deluxe: Bush Lodge, Luxury: Mweya Safari Lodge. Early in the morning you will transfer to Lake Bunyonyi one of the most beautiful places in Uganda. While at Bunyonyi, you will go for a trek on the lake which will introduce you to the major islands and their rich history, but also to a traditional healer and a craft maker who live on a peninsula with most complete views of the 25-kilometres long lake. There will be some little energetic hiking but also great time spent in traditional dugout canoes. You will also meet the Batwa community, a pygmy community. Accommodation: Deluxe: Acadia lodge, Luxury: Birds Nest. Begin your day with an early morning cup of African tea followed by morning game drive, return to Kampala where you will go for a Kampala city tour. Accommodation: Deluxe: Acacia Lodge, Luxury: Serena Hotel.